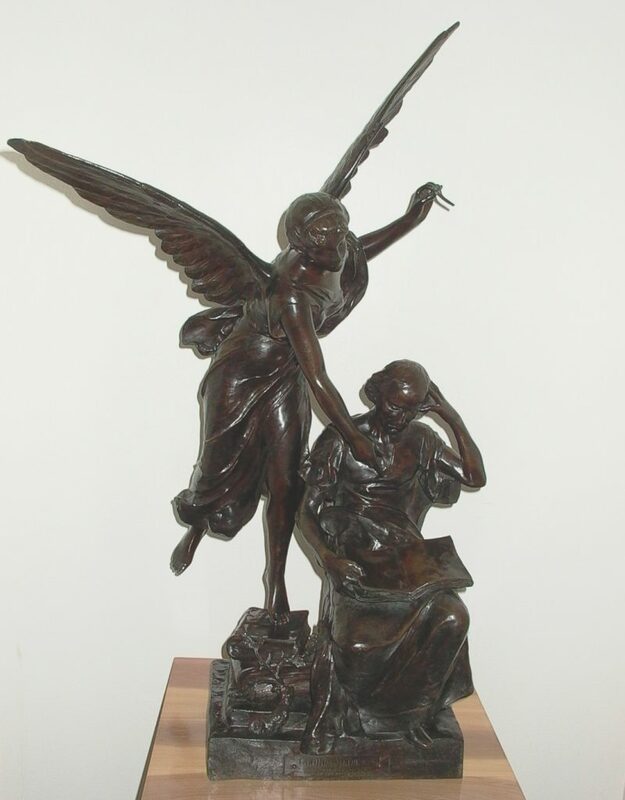 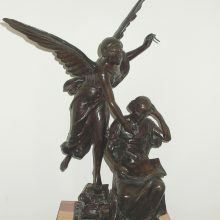 We restored a damaged bronze figure of a winged angel and seated physician from the collection of Columbia University. 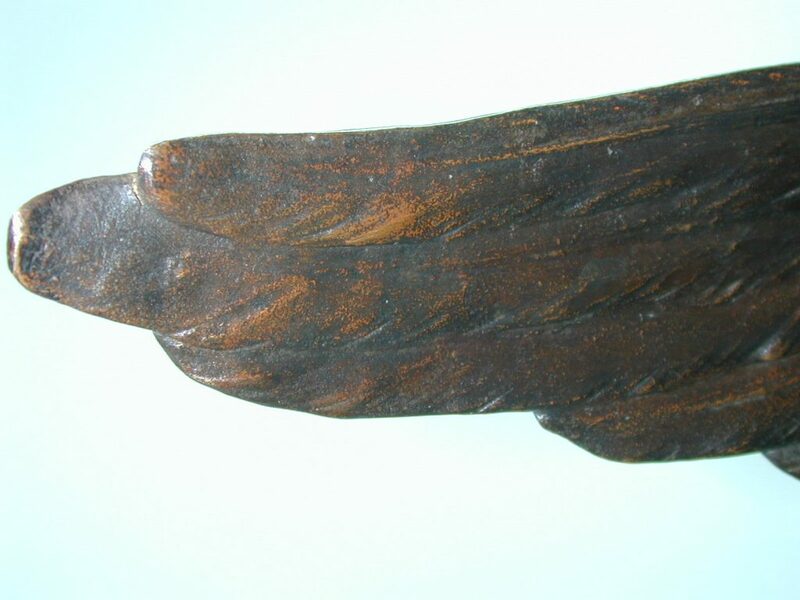 The Roman joint at the attachment of the wings had become damaged when the work fell. 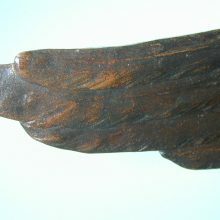 Other damage to the forms and patina had occurred as well. 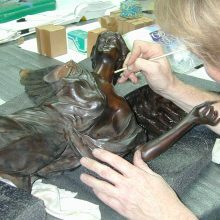 Conservators carefully disassembled the bronze, restored the joints, straightened damaged forms and restored the patina without damaging the original finishes. 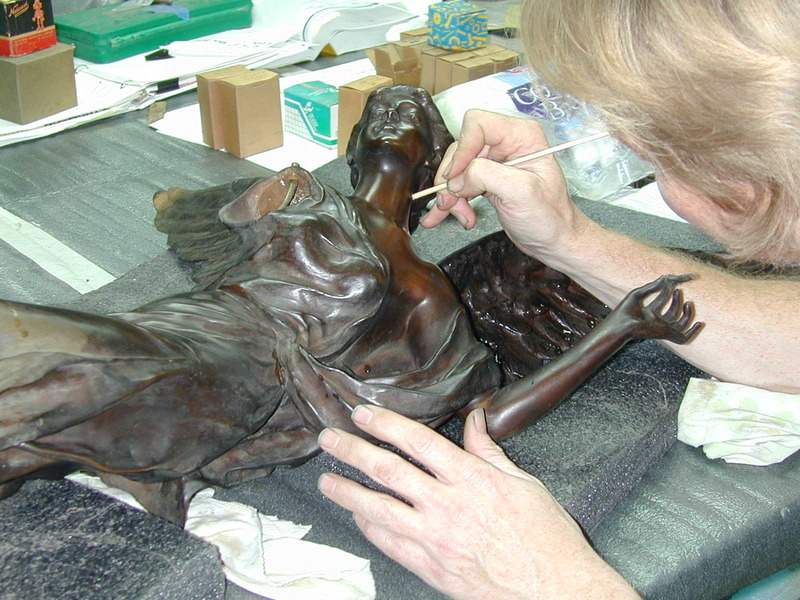 The entire work was then cleaned and coated with wax.